Size of this preview: 462 × 599 pixels. Other resolutions: 185 × 240 pixels | 543 × 704 pixels. 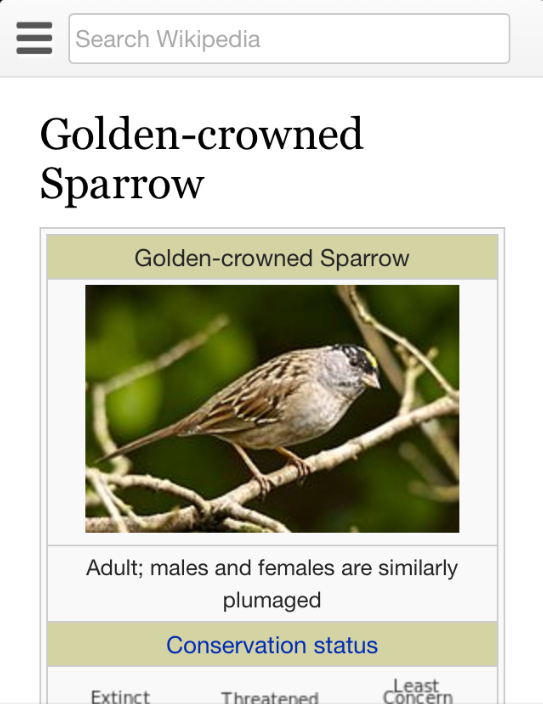 English: A screenshot of the new design changes to the Wikipedia mobile gateway. Original sparrow image by User:Snowmanradio under CC 2.0.